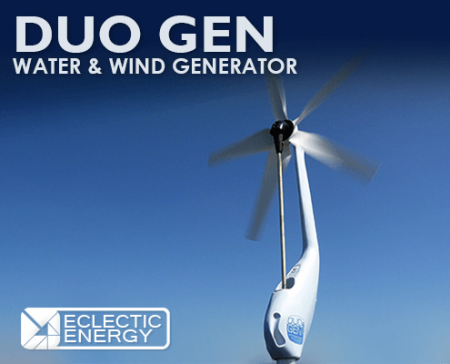 DuoGen is designed and precision manufactured in the UK to provide the most practical and user-friendly system currently available for renewable energy electricity generation on cruising yachts. 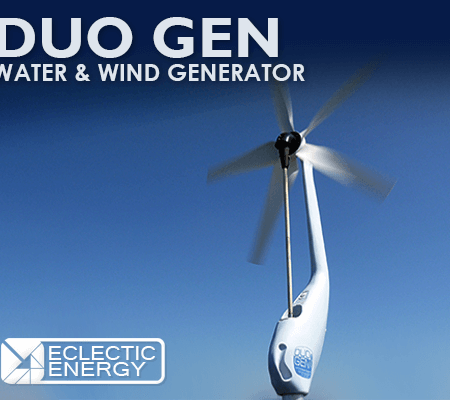 DuoGen is a combined water and wind generator that can be easily reconfigured to harness the kinetic energy in either a water stream or a wind stream in order to produce electricity. DuoGen has been specifically designed for use aboard cruising yachts where the wind mode is operated in harbour or at anchor, and the water mode is deployed when the yacht is under way or at anchor in flowing water. The benefit of this dual mode system is that the owner has greater potential for energy conversion than is possible with a single source system. This is because the air stream intercepted by a yacht’s sails when it is under way is many times the area intercepted by a typical wind turbine. 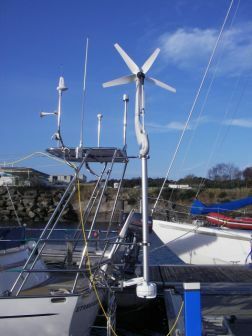 In a given wind speed, therefore, the amount of battery charging power produced is usually far greater when a yacht is under sail and a water generator is deployed. 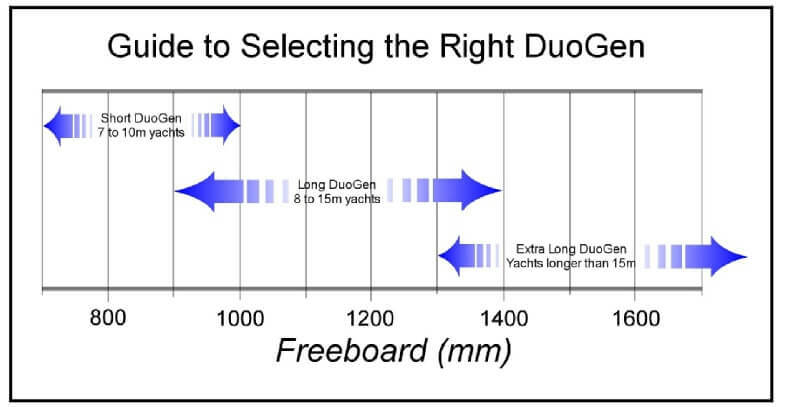 DuoGen brings the benefits of dual mode operation to the yacht owner in a truly practical form. The change from water to wind mode is accomplished in seconds without the use of tools and without having to de-mount or reposition major system elements or electrical connections. 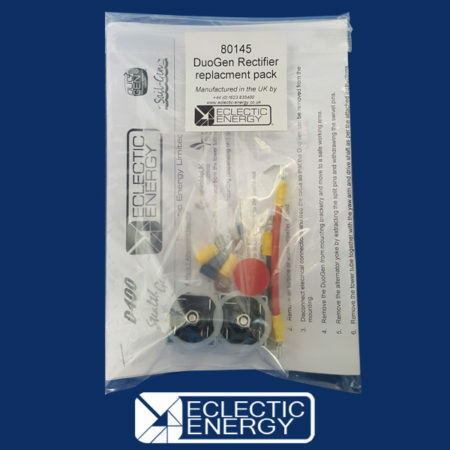 When using your DuoGen, always exercise due care and operate the equipment in accordance with the manufacturer’s recommendations contained in this manual. DuoGen should then deliver years of trouble free service. 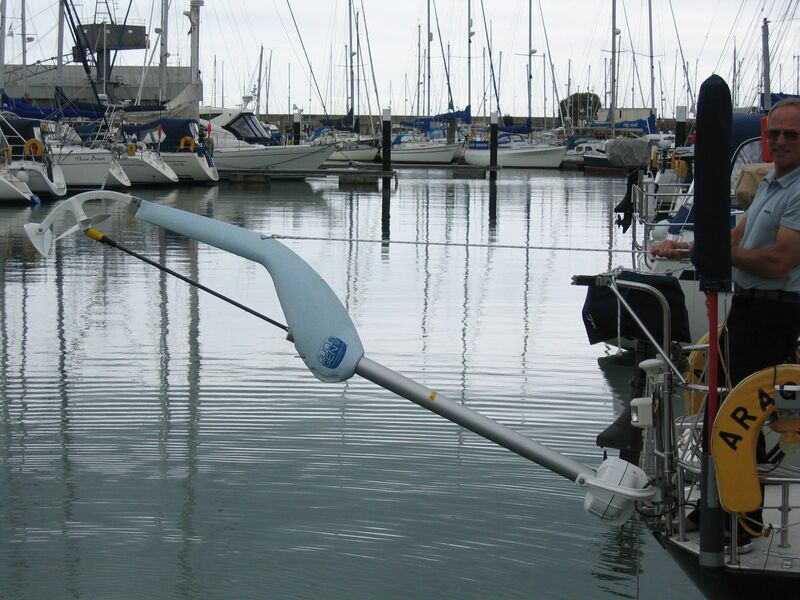 The DuoGen is designed to be easily retro-fitted to yachts and multihulls. This represents a substantial challenge because yachts vary widely in size, performance and form. To accommodate the differences in size, the DuoGen is available in three different tower lengths, short, long and extra- long. The appropriate tower length depends on the yacht’s transom height. This ensures that the angle of the water mode keeps the water impeller immersed, despite heel angle and wave action. It also ensures that when the DuoGen is changed to wind mode, there is sufficient clearance under the air blades for crew safety. For each tower length we recommend a maximum and minimum mount height above the static water line. We also recommend that where possible, installations are kept within 800 – 900 mm of the yacht’s centre line. This keeps the running depth of the water impeller within the optimum range, regardless of tack. Note that the majority of DuoGens are installed alongside self-steering systems. The two technologies complement each other, and assuming they are installed 600 – 700 mm apart, will not interfere with each other’s operation. Other factors can also affect tower length choice. For example, where a 38 foot yacht is fitted with a stern arch, the extra-long DuoGen may be preferred to the long because it provides greater clearance above the arch for the air rotor. Equally, a 55 foot yacht that only wished to use the DuoGen in water mode could fit the short tower machine, and simply mount it lower on the transom. The DuoGen is supplied complete with standard mount hardware. 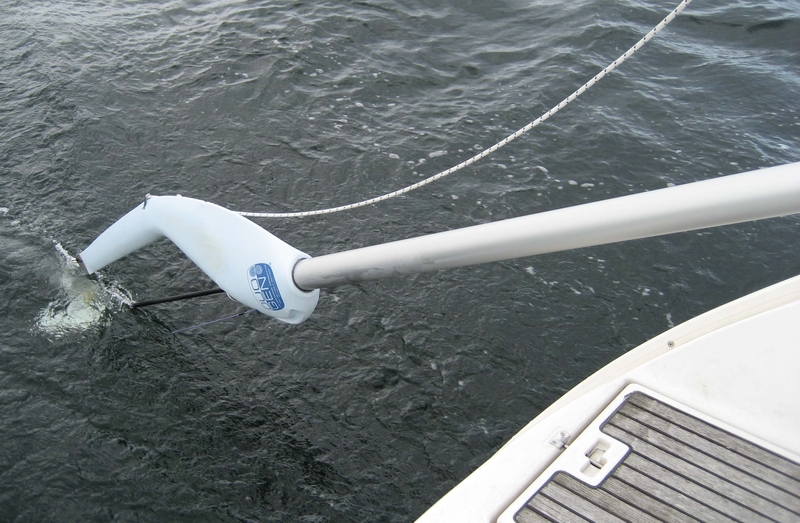 This bracketry is designed to accommodate most yacht transoms, and offers a simple and flexible approach to mounting. The bracketry has a range of adjustment and is usually sufficient to achieve an excellent and robust installation. .
Where additional bracketry is required, as is the case with canoe stern yachts and some multihulls, Eclectic Energy can offer advice and bespoke parts. One of the DuoGen’s key benefits is that most of the system’s weight, i.e. the alternator, is at coaming level. This remains the case in both water and wind mode. 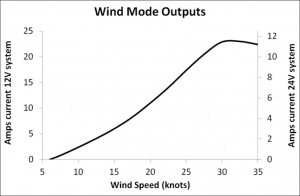 Consequently, when operating in wind mode, the mounting only has wind loadings to resolve, not the mass of an alternator. Installing a conventional wind generator involves a dedicated mount tower and substantial braces fore and aft and athwartships. The cost and weight of this structure is avoided with the DuoGen. 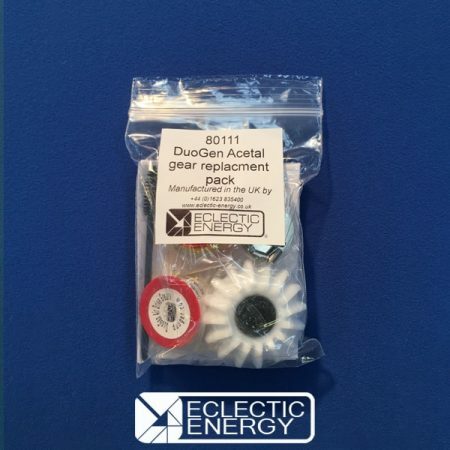 The DuoGen is supplied with full installation instructions. 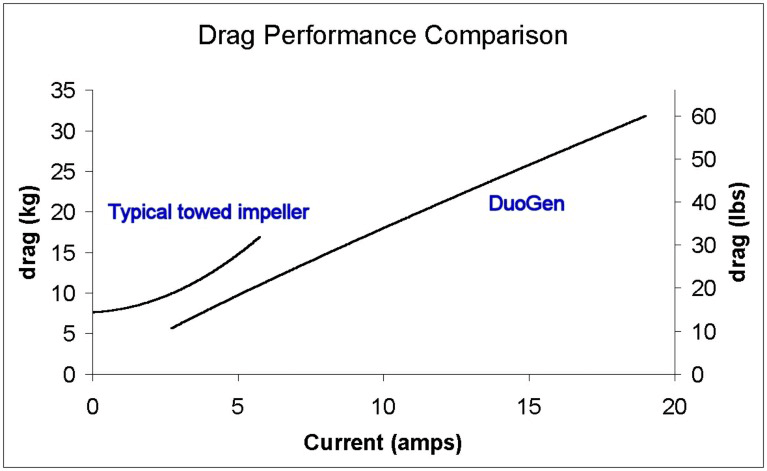 However, it is not always easy to visualise how and where the DuoGen could be mounted, and what clearances will exist when it is operating or being changed from one mode to the other. For this reason we encourage anyone considering a DuoGen installation to contact us and provide a photograph of their yacht’s stern. We then discuss installation options and implications. This is particularly important where a yacht has no push pit rails or has davits or backstays that are secured at the base of the transom. The mount bracketry incorporates the upper and lower attachment points for the DuoGen. Once the brackets are in place, the DuoGen is installed and secured with a single M10 pivot pin at the alternator, and its tower secured with the upper releasable clamp. This makes it very simple and straightforward to remove the DuoGen for a weekend’s racing. The electrical output cable is usually taken into the yacht via a cable gland and hard wired within the stern locker / lazarette area. Deck plugs and sockets are not recommended due to the potential shock hazard should they become disconnected. The DuoGen is designed to require minimal maintenance, but a little attention will pay dividends in terms of appearance and performance. If the yaw action becomes stiff and unresponsive periodic washing with fresh water will remove accumulated salt deposits and keep the yaw bearings and the telescopic drive shaft sliding smoothly. An occasional application of a domestic silicone- based polish on the tower tube and drive shaft is also recommended. The alternator requires no maintenance as it is hermetically sealed, and the bearings are protected by a twin lip radial shaft seal. The water mode is robust and efficient, and maintenance free as the impeller transmission device is lubricated by a combination of synthetic oil within the matrix of the bearing material and water. When dry following immersion in sea water, the unit may feel a little stiff. This is due to dry salt deposits and the unit should free up immediately it is returned to the water. 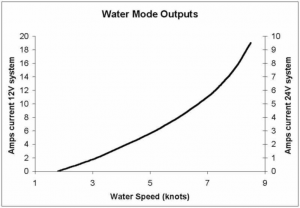 However, the DuoGen’s water impeller rotates about 5 million times for every thousand miles sailed, and like all mechanical devices, it is prone to wear. We recommend that the transmission elements are replaced every 8- 10,000 nautical miles, or 40 – 50 million revolutions, in order to maintain optimum performance. This is a straightforward procedure that can be undertaken by the owner. 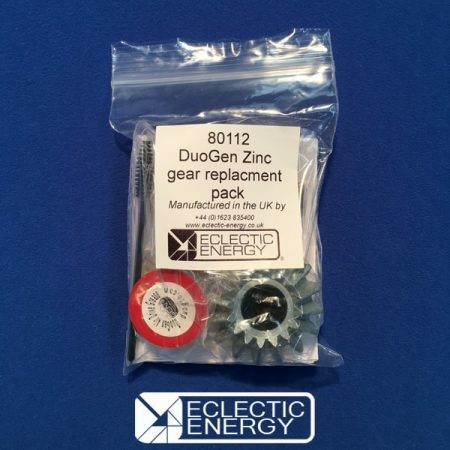 The DuoGen’s air mode transmission device incorporates a heavy duty gear set and thrust bearings, all running behind grease seals. The gear faces benefit from the occasional light application of a good quality weather resistant grease, as supplied.